It looks like this swell shark just sneezed -- but actually it has gotten tired of sitting on the bottom being photographed, and is about to shoot off to the left. I thought this little rockfish was unusually elegant. 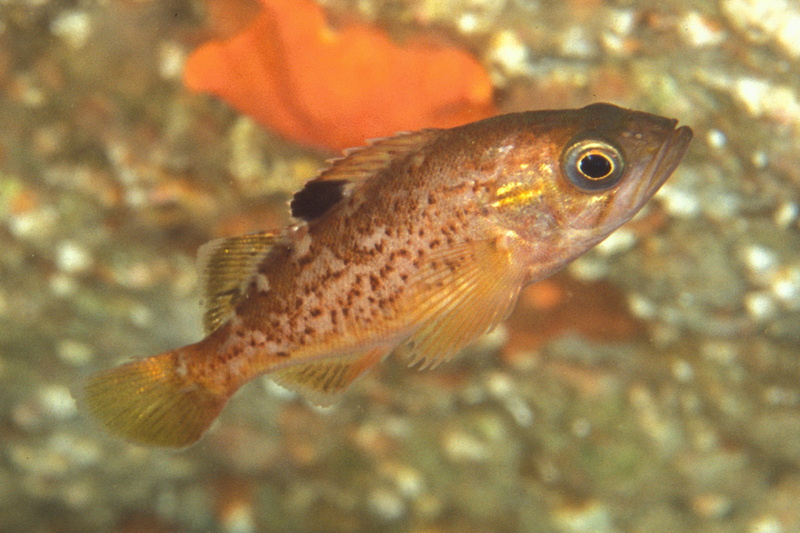 It might be an olive rockfish because of the yellow fins and tail, the "olives" along the back, and the facial stripes. It was at Groovy Wall on the Southeast side of Santa Rosa. What a great spot! 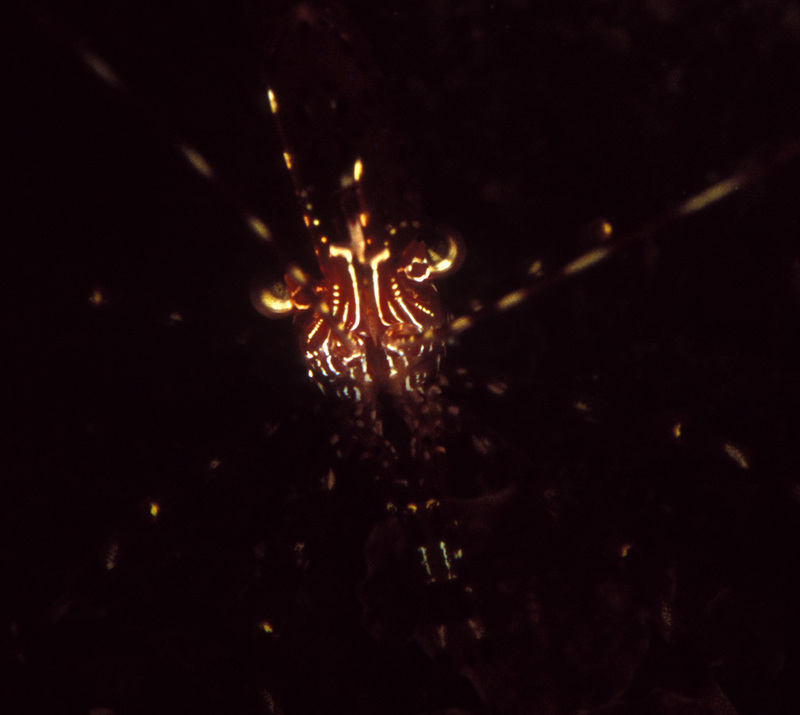 Supposedly they're called coonstripe shrimp after their legs, banded like the tail of a raccoon. 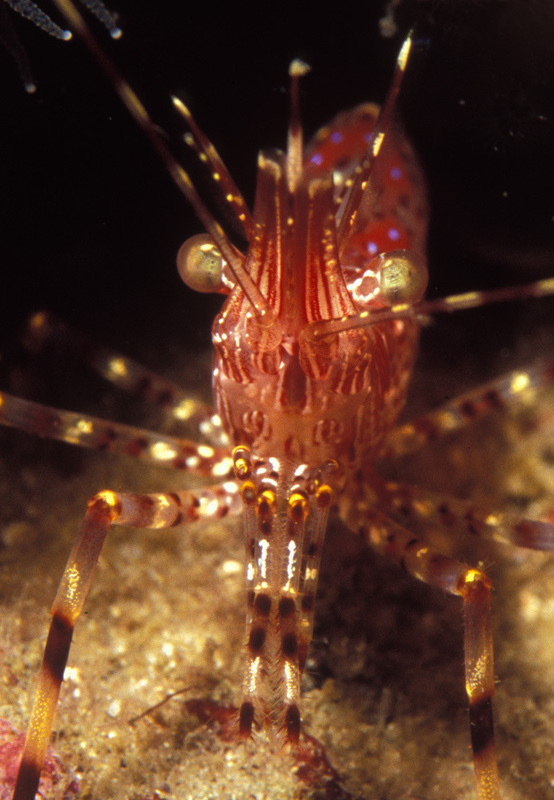 This shrimp lives under a ledge off the southeast end of Santa Rosa. 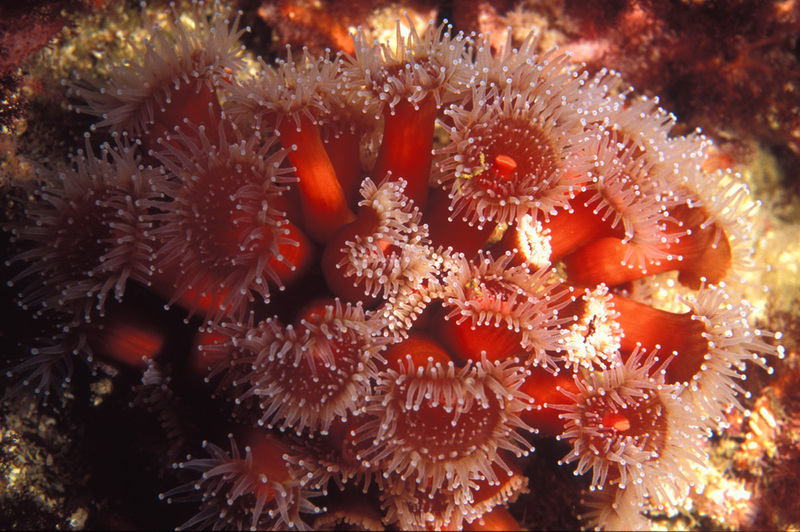 They look like they're flowers but they're actually fiercely carnivorous animals. 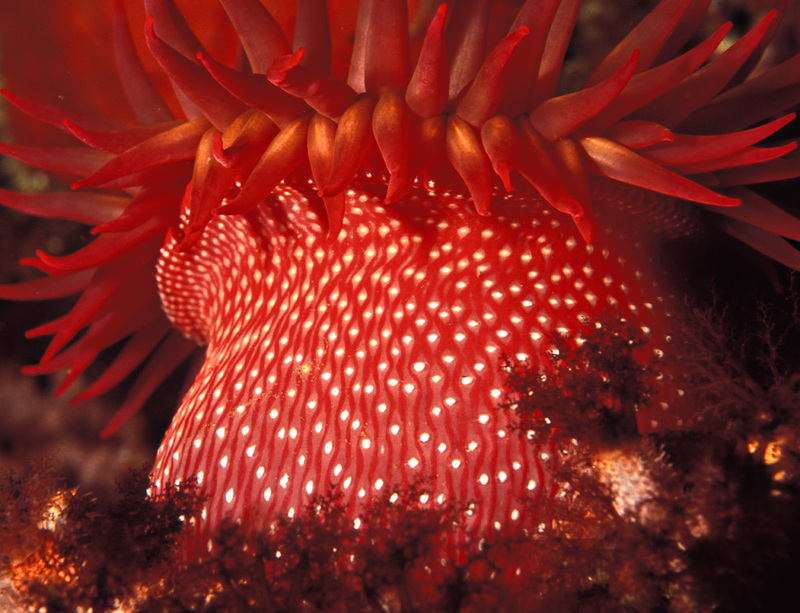 White-spotted anemone at Groovy Wall, on the Southeast end of Santa Cruz.